Does Buying Pet Store Puppies Support Overcrowding in Shelters? According to border-wars.com, one of the biggest misconceptions of the pet store puppy controversy is that there is an overpopulation problem within animal shelters in the United States. Many believe this is caused by consumers purchasing dogs from pet stores and breeders. While this may have been true in the past, it certainly isn't anymore. Pet ownership has increased substantially in the past few decades. Additionally, spay and neuter programs have significantly decreased the pet population in the United States. And yet, we are still constantly told that animal shelters are overcrowded and cannot contain anymore animals. They say that their answer is to then euthanize the extra animals that they aren't able to keep within their shelters. If only 2% of dogs brought into animal shelters in the U.S. are being euthanized, then where is the argument that adopting a pet from a breeder or pet store contributes to overpopulation? These euthanizations are usually largely due to health & behavior problems rather than overpopulation. Additionally, pet ownership in the United States is significantly increasing. The simple answer is that there is no argument for overcrowding in animal shelters, and simply no facts to support this claim. Many of the large organizations including the American pet Products Manufacturers Association (APPMA) and the Humane Society of the United States (HSUS) formed The National Council on Pet Population Study and Policy in the early 1990s in order to attempt to get real statistics from animal shelters. The goal was to discover how many animals were being taken in, how many were reclaimed by their original owners, how many found new forever homes and how many were being euthanized. However, due to lack of response, the initiative was discontinued. Our access to accurate, and updated, statistics is currently very limited. We won't know for sure the "overpopulation" problem actually is until more statistics are able to be uncovered, and released to the public. However, it's very interesting how such a strong cause is able to go so far without strong facts and figures, such as this one that we are currently discussing. One speculation might be that someone has these statistics, but without the "overpopulation" to lean on, these large organizations such as ASPCA, HSUS, and PETA won't have as strong of an argument to lean on in order to get their donations flowing. Another sign of under-population is the fact that, contrary to popular belief, many shelters are actually having to import their dogs in order to stay in business. While they are often hidden amongst other headlines, there are reports of shelters around the country importing their dogs by the thousands. According to the Spaniel Journal, the PetSmart Charities Rescue Waggin' has imported as many as 50 puppies at a time from Iowa, Indiana, Illinois, Tennessee, and Kentucky. The article expresses the Green Bay Press-Gazette reported that 32 dogs arriving in December of that year were expected to be "adopted out by the weekend" (although this may be taken with a grain of salt, as the article seems to have been removed since time of posting). In 2003, a new pet owner picked out a rescue from a shelter in Salem, Massachusetts. This rescue wasn't a stray from the area, instead it had been shipped 1,700 miles from Puerto Rico. USA Today reports that this is because Salem didn't have enough strays to satisfy demand. Over the past few years, just a single organization in Puerto Rico had shipped more than 14,000 strays to the states for adoption. "The drive to have dogs spayed and neutered in the USA has cut down on unwanted litters. And adoption campaigns have helped empty dog pounds" (Tom Vanden Brook, 2003). A little more recently (2015), The Northeast Animal Shelter went through a large expansion and a new building that offers enough space to incorporate the large numbers of imported dogs from other states and Puerto Rico. In 2013, they adopted out over 4,000 dogs (up from 300 a year in the 1970s, a 1367% increase) and three-quarters of them were from out of state. "Over the past two decades, there have been big changes in animal shelters and the pet industry. With the growth of pet rescue groups, the demand for dogs now outstrips the supply of those available for adoption in many states." According to The Cavalry Group (2016), "A huge imported dog pipeline exists from Mexico through California, and then shipped north to Utah, Colorado, Oregon, Washington, Canada. Besides importing from California, Washington imports from India and other Asian countries." This is only a small part of the importation pipeline from foreign countries into the United States. If there really is such a huge problem with overpopulation and overcrowding in shelters, why are we importing dogs, by the thousands, from other countries? Continuing to read the article from The Cavalry Group, it's clear that there is an underground problem that no one is wanting to talk about. Additionally, because of their feel-good stance, many of these rescues are flying under the radar of the USDA, and some are just as bad as those backyard breeders. Although it's illegal under federal law to import puppies under six months, rescues are not being tracked or regulated because the USDA is too busy cracking down on the good breeders, instead of the bad guys including both backyard breeders and "underground" importing rescue groups. “This private kill shelter in Maine sold 4,060 animals in 2015, and most of those animals were puppies imported from mysterious places out-of-state. At an average price of $300 per animal, this shelter took in $1,218,000 from animal sales and did not pay a penny in sales tax. So, puppies from mysterious origins that are sold tax-free are “good”, but puppies from licensed and inspected kennels that are sold with tax paid are “bad”? This is insane. This is Retail Rescue.” Jay Kitchener, the Cavalry Group. Let's now briefly address the argument that pet store puppies are generally the ones that end up in animal shelters. As we've mentioned in another article, only 4% of dogs that end up in animal shelters are from pet stores that sell puppies versus 23% that come from animal shelters. Additionally, dogs acquired for less than $100 or from friends and family are more likely to end up in a shelter. According to these numbers, it appears households who are more prepared to own a dog, to spend the money and research required to find the right dog, are more likely to hold on to him and treat him with the love and respect he deserves. As a reminder, this is not to say that everyone who owns a rescue dog don't treat them correctly. Any responsible pet store will generally ensure that prospective pet owners do their research before making a purchase. Pet City in Colorado is no different. When future pet parents walk in to shop for a new dog, the well-trained store employees discuss their various lifestyle choices in order to best match up the correct breed and size dog for their family. They are then strongly encouraged to do their own research on which breed will best fit their lifestyle, for example a large energetic dog may do best with a runner who is home often enough to exercise his pet, and so on. The new pet owner then goes home not only with a new dog that has been regularly vet checked, but also with the education required to train and maintain a healthy and happy lifestyle for the dog. Our goal for publishing these articles is ultimately to educate the pet industry about the truths of selling animals, through breeders, in pet stores. 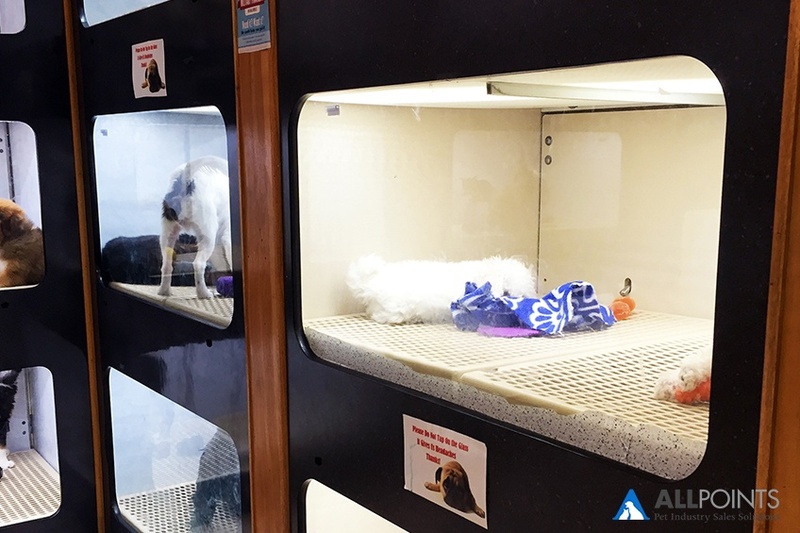 As an industry, we need to unite as a solid front and fight the attempts to ban the regulated sale of pets in pet stores across the United States, and ultimately, the world. We plan on continuing our mission to spread the message that there are actual animal welfare benefits to adopting pets from a pet store. Additionally, we firmly believe there's a difference between "backyard breeders" (puppy mills, which are very bad), and "professional breeders" (the ones with animal welfare at the top of mind). The next series of articles, to be published over the coming weeks, will hopefully help you see our side of the story. We want to do what we can to support pet stores because without pets, there won't be a pet industry.